So much in the City is so expensive – mostly rent! But if you live in or around NYC stock up on bulk herbs and spices at the local city grocery stores. 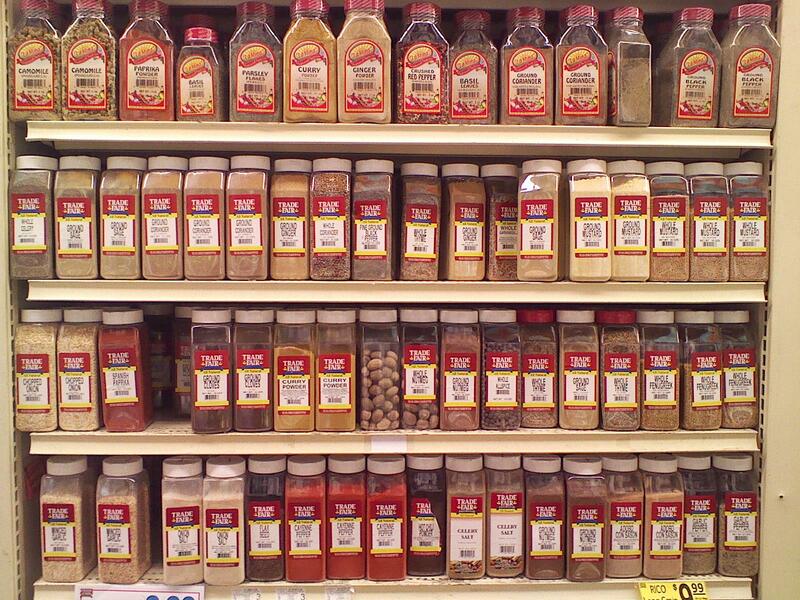 The herbs and spices are soooo much cheaper than the typical suburban grocery store chain. Trade Fair is my favorite NYC grocery store with Associated coming in second. If you don’t live in the NYC area there are still options other than paying $8 for a tiny jar of cloves at your local supermarket. I have actually found reasonable prices on bulk spices on Amazon. So check there. My favorite online stores for bulk herbs are Mountain Rose Herbs and Bulk Herb Store. And be sure to check your local Walmart. They have some basic spices in the $1 category. So save some money and add some spice to your life! This entry was posted in City Life, Herbs, Pantry. Bookmark the permalink.